It’s the most wonderful time of the year, and between gingerbread houses and Santa’s milk and cookies, homes across the world are filling with family, friends and sugary smells of sweet treats in the oven. If you’re not careful though; pantry pests will join you for dessert faster than your hot chocolate can cool down. Learn how to keep them away by following our tips and tricks. To keep Christmas critters from hitchhiking their way into a vacation in your pantry, be sure to inspect their ride (i.e. your groceries) before you ever buy them. If packages appear opened or damaged, don’t purchase them. Even the tiniest tear provides easy access to these party crashers. There may be no sign of “11 lords-a-leaping” in your home this holiday season, but if you don’t take proper precaution, there’s a chance of ants, cockroaches and rodents-a-eating! Cardboard and paper boxes are no match for pests itching for a feast. Instead, purchase sturdy glass or plastic containers with tight-fitting lids for food storage. 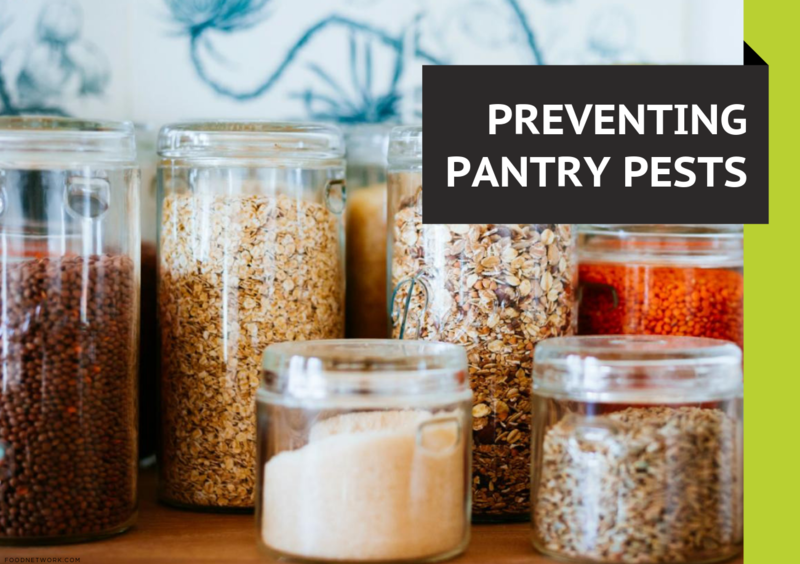 Whether it means buying smaller quantities or making a habit to periodically sort through pantry staples, be sure to use baking supplies before they expire if you want to keep pests off your holiday invitation list. Your calendar is jam-packed with hustling and bustling, but as tempting as it may be to leave your kitchen mess for later– don’t. Unless you want to risk fruit flies holding your fruitcake hostage; immediately clean countertops, floors, tables, chairs and shelves after spills are made. And don’t slack on taking your garbage out either! Though the perfect size, pests are not a stocking stuffer anyone wants to unwrap. If you find signs that uninvited dinner guests have arrived early, don’t try to be frugal by saving untouched goods. Make sure that any possible eggs and larvae get the boot by throwing away the entire supply of food that’s been contaminated. Santa may care who’s been naughty and who’s been nice this year, but unfortunately for many Arkansans, pests don’t. If you find yourself with multi-legged houseguests this season (or any season), contact Command Pest Control. With free estimates and initial treatments for under $30, we’ll keep your home merry, bright and pest-free year-round. Command Pest Control is proud to be a drug-free workplace.